Have a problem with your extractor fan or are looking for a new one? Our team of electricians specialise in repairing and install new extractor fans across Thame. "Our electricians use the latest tools and equipment to ensure a professional service is carried out." An extractor fan ensures that any harmful gas, steam and heat is removed when you are cooking or using the bathroom. An extractor fan will ensure that the humidity in each room is kept under control and without it can create mold in these particular rooms. 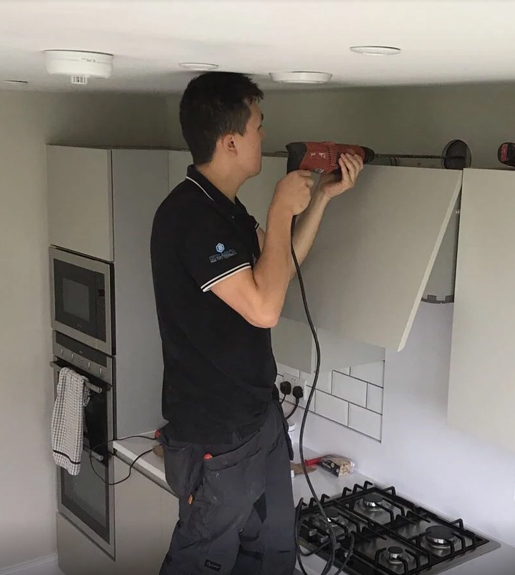 Working throughout the Thame area, our team of electricians at Justin Bucknell Electrical specialise in the installation and repairs of a wide range of extractor fans. If you would like to know more information about this service, or indeed any other service that our electricians specialise in, please get in touch with them today and they will happily assist you in your enquiry. If you are looking for a new extractor fan for your property, please get in touch with our electricians today.